One of the most visible opportunities a retail business has, to capture the attention of customers, is the signage it uses outside the store. In this retail marketing article, I’m going to share some ideas on how to get the best results from your signage. One of the most important things you need to get right with a store sign, is the color or colors. It’s important to get the correct contrasting colors, so that the message on the sign stands out. Studies have confirmed what psychologists have known for years… that color has a significant impact on the way we feel. Blue is seen as soothing. A clear blue sky or the crystal blue waters of a lake make us feel relaxed. Red is a color we’re drawn to. It catches the eye and we’re programmed to notice it. Red is associated with physical attraction, whether that’s a person’s red lips or their face when they blush. Red is also associated with blood, something we’re instinctively alerted to notice. Yellow is associated with fun and happiness. It’s the lightest hue in the color spectrum. From when we’re kids painting a big yellow sun in our first pictures, to the yellow colors that are included on almost every kids toy, yellow makes us feel happy. There’s a story behind pretty much every color. The key thing to know is that it pays to give consideration to the colors on your store sign. So, how can selecting the right colors help you create a sign, which attracts people’s attention? A great example of this comes from one of the most successful retail signs in the world—MacDonald’s. They have embraced the fun factor behind the yellow color and matched it with a red background—red being an attractive color we’re drawn to. The combination works by attracting our attention and then making us feel happy [happy meals too]. Yes, this is all at an unconscious level. However, it’s proven to be very effective for the fast food giant. So, think about the colors you use on your store sign. Make sure they stand out and that the message is clean, clear and super-easy for customers to see. Have you noticed that big retailers almost always go for an illuminated store sign? They do this, because it helps them stand out in low light conditions, bad weather and at night. However, the decision to get one is not as clear-cut as it seems. There’s often a significant investment attached to installing an illuminated sign. They can cost thousands. Then you need to factor in the cost of maintaining the sign when lights need replacing – plus the electricity cost. Then, depending on where your store is located, there could be local regulations regarding the use of illuminated store signs. Certain areas allow them, but they need to be within strict confines. This often reduces the effectiveness of the sign. In short, you need to weigh up the potential additional custom you get from having the sign illuminated, with the investment required. It can be very effective, but it depends a great deal on where your store is located, plus whether you’re open for business when it’s dark. The whole point of a store sign is for it to be attractive, clear and easy to read. There’s no point attracting people’s attention with the color you use and maybe the use of an illuminated sign, if your sign isn’t clear enough for people to immediately know what you do. When someone spots a sign, you only have his or her attention for a very short period of time. During this window of opportunity, you need to get the key message across as quickly and clearly as possible. The font you use. The font needs to be easy to read, rather than complex. The font also needs to be large enough for people to see from across the street. The clarity of your message. Use as few words as possible. The job of the sign is to let prospective customers know what type of store you have. A drug store sign doesn’t need to list half a dozen things it sells. When you’re out looking for a drug store, you know what to expect. They key job of that sign is to tell you that you’ve found a drug store. So, when it comes to creating a great sign for your store, keep it as clean and clear as you can. The point of this post is to get you to spend some time thinking about your signage and whether it’s working for you or not. With thousands of people passing your store every week, it makes sense to give yourself the best chance possible of gaining their attention. I hope you found this information useful. More importantly, I hope you do something with it. 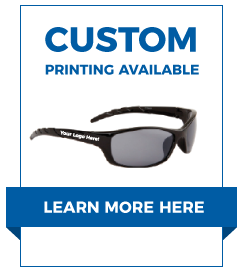 Remember to check out all the other free retail marketing resources we have available for you here on the CTS Wholesale Sunglasses website. There’s a list of them here. If you have any specific questions, simply click here.